"Let's Go Fly a Kite" was one of the first songs linked to in the embedded videos and the kids still want to watch Mary Poppins. Although we didn't watch the movie, we did go fly kites! Kite safety is emphasized in this unit study, and your children will need to know the recommendations as they will surely want to fly kites of their own after this study. 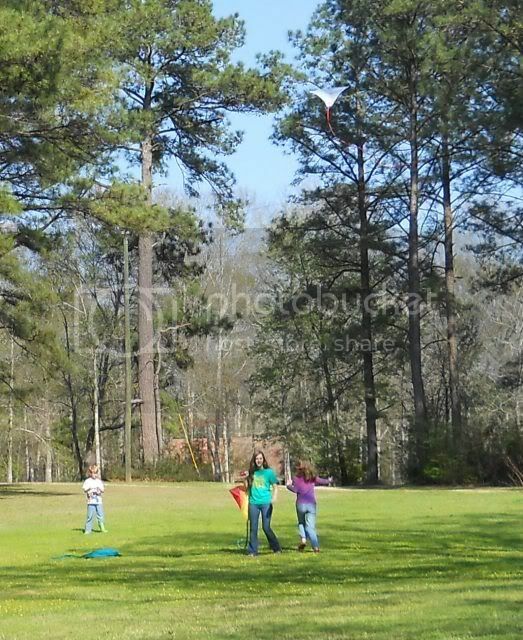 I heard Emily reminding Joseph to watch out for power lines as they ran around the yard with their kites. 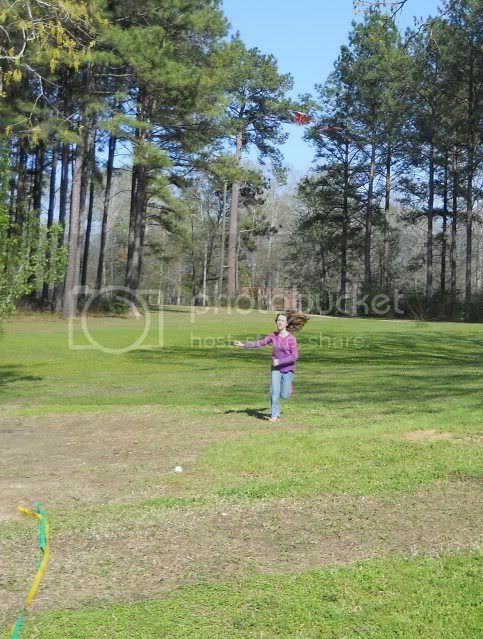 Flying kites is fun. Amanda Bennett's Kite Capers Download N Go Unit Study is fun and educational. Day 1: What Is a Kite? Before starting this I wondered how educational a study about kites could be, but as usual I learned with the kids. On the first day, one of the links went to a NASA's website where we learned about the Wright Brothers flying kites to learn about flight. Joseph enjoyed the box kite video then immediately decided that his sister could make one for him. Problem solving, spelling and vocabulary, science, weather, history, geography, and much more are addressed in this study. Of course, instructions are included for making kites with your children, too. You may recall the Ben Franklin DNG we studied last fall. His kite experiments are highlighted in this study, too. 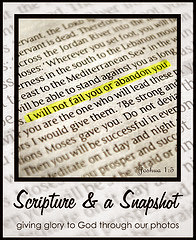 As always, God's Word was also referenced in this study. One verse told of God controlling the wind. ****Limited time special: There will be a $5 on Friday 3/18 at the DNG blog. There will also be a contest running until Saturday at 4pm EST for a family registration including Tim Hawkins tickets for the MidWest Homeschool Convention March 31-Apr2 in Cincinnati. Hi Jennifer, just catching up on some blog reading:) We love DNG units, we haven't tried this one yet. We are working on the Ireland unit.